Mark your calendar and support your favorite musicians! The Voices signed to MCA records in 1989, Hollywood, California. It was the largest first signing of a band as of that date. The Voices have more than 100 original songs and countless covers. Lead singer/songwriter, Peter Kenvin, credits the band and its individual members as a whole unit for their contributions and success. Tommy Andrews (Lead Guitar/Bass/Vocals), Andrew Harvey & Randy Willert (Drums), Dave Inglish (Keyboard), Kris Joehnk (Bass/Vocals), Rob Myers (Guitar/Vocals) make up the entire package and each one is an amazing, successful musician and performer. The band recorded at A&M Studios while playing packed live shows at The Roxy and The Whiskey in Los Angeles and have played with Neil Young, Stephen Stills, Don Henley and others on occasion. Critics and industry leaders praised the band for their talent and charisma, one even stating that they had a better live show than The Doors. U2 began recording "Rattle and Hum" at A&M Studios while The Voices were recording their self-titled album. Hanging out from time to time, U2 was inspired by at least one song from The Voices record, "All I Wanted". The alternative rock band enjoyed international exposure as well and went on to tour California, Arizona and the East Coast. 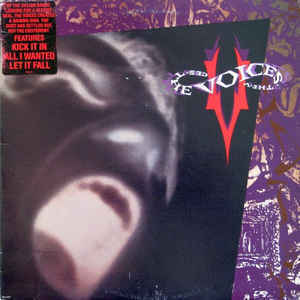 Although The Voices have been considered one of the best bands in their genre and were contracted for several albums, management shake-ups at the record label left them somewhat 'lost in the shuffle'. Despite the lack of fortune and fame, they have continued to play, record and perform together. The Voices are an energy force on stage. You should always try to catch them live. They continue to create original songs, have a large repertoire of cover songs and perform regularly at local venues in Southern California. They have a large, diverse, loyal fan base and decades later are as good or better than they've ever been; versatile, danceable, powerful. TIME: 9:00 pm - ?? ?